In 2014, around the same time we shot Jamie Klotz’s Diary II (and using some of the same cast), we also started working on developing a series of film noir-inspired shorts about a teenage “detective,” Jim Boise (played by Sam Martin), and his buddy, Derek Phillips (played by Isaiah Crossman) who act as private investigators, taking on mundane cases, usually involving interrogating little kids, resolving trade disputes on playgrounds and stopping Pokemon card bootleggers. Eventually, they would witness what appears to be a murder and then following up on the supposed coverup. In the meanwhile, Derek tries out for a play for the local community theatre, and the murder investigation ends up crossing paths with cast members of the play, so the title “THE BIG PLAY” ends up having multiple meanings. I wrote three scripts of the planned five, and we shot a good chunk of the first episode, but ended up not finishing the rest of it due to focusing efforts on Jamie Klotz’s Diary II. What is contained here is an edited version of the existing video of the first episode, with parts of a live read-thru from early 2014 added to fill in the missing couple of minutes in the middle. Also missing is the opening montage (briefly showing the cases described above) but for all intents and purposes, you should be able to follow along well enough! Fun fact: For the spring 2017 Southern Hills Community Theatre show, I approached the SHCT board with two script ideas to develop, an adaptation of The Big Play or an original play idea, I Sent My Grandma Into The Past. The latter ended up being the one I wrote and directed and beyond the original pitch and the original short scripts, no other development was done on the play. 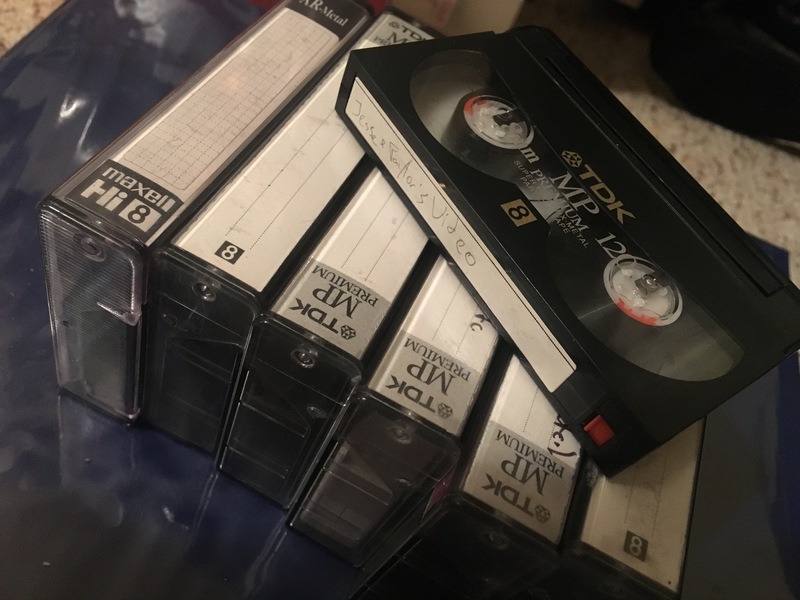 My original set of Hi8 and Digital8 tapes. On September 28, 2009, I wrote a blog entitled “8MM Blues,” bemoaning the fact that there was footage on a number of 2005-2007-era tapes that I never got to transfer – and never got to edit! After a number of failed attempts, I had to come to terms with the idea that either I would one day go back and transfer everything, or never transfer it at all, and be okay with myself in either case. Fast forward over 7 years later to early 2016. Finally in a place with some disposable income, I ordered a Digital8 camcorder online and set about preserving several of the tapes, including one tape of A Day in Hot Springs raw footage, leading to the 10th Anniversary re-edit of that short film utilizing that newly restored footage. Much of the student life/high school footage on those tapes were left un-transferred again intentionally – I simply didn’t feel the need to. On nearly every tape, there were still parts that were unreadable by the specific Digital8 model I owned. I needed an older Hi-8 model if I planned on seeing the rest of the footage again. Fast forward another year and a half to October 2017. A spur of the moment decision to finally transfer the student life footage led me to rewinding all of the tapes to their beginnings and capturing every frame I could find. Enter the lost Quest for the Lost Treasures footage. A never before seen shot from newly rediscovered “Quest for the Lost Treasures” video. 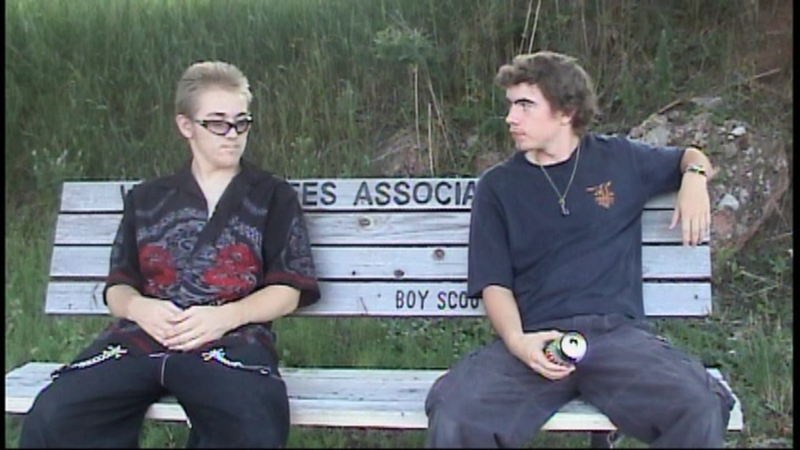 At the beginning of a tape that was otherwise dedicated to little else but video of “edgy” mid-00’s teenagers flipping the camera the bird was almost 14 minutes of Summer 2006-era Jim, Jesse and myself, shooting inserts and partial scenes. These 14 minutes, which I had not seen in over 11 years, sent me down a rabbit hole that led me to finally ordering a Hi-8 camera on eBay with the intent of resolving an almost decade-long mystery. What I found was collectively 8+ hours of video, with almost an hour and a half of raw video specifically tied to Skeeter Bite short film productions, the earliest of which dated back to literally the first thing we ever shot in 2005, for an Indiana Jones fan film that never made it beyond the opening shots and that I had honestly thought had been taped over or lost altogether. Me in some of the first footage I ever directed as a filmmaker. Gump was running camera duties. Summer 2005. Also rescued was a substantial amount of footage from the attempt at a folksy webseries in the vein of Red Green, “Taterfied”, starring our buddy Josh “Tater” Tatum. Previously, only 6 seconds of blocky, low-res video remained – now almost 20 minutes of raw footage, including a whole short sketch, is now available. Finally, there was the raw footage of our Super Mario Bros fan film starring my friend Drake Piper. None of the footage had previously been transferred, but there was enough footage to finally edit together the complete film, which I have now finished and will post in a follow-up. The excitement of finding “new” footage and even video that had been transferred years in marginally better quality has pushed me further down the path of re-editing a number of original Skeeter Bite shorts that suffered from resolution, aspect ratio and editing issues. Aside from the Super Mario fan film, I’m re-editing for the final time a number of “Adventures in Hot Springs” shorts. Furthermore, several of those shorts will be edited into a feature-length “The Week in Hot Springs” movie that uses text cards to flesh out the overarching story and context between scenes as originally intended.